Because of growing concerns that people are getting too much fluoride, the U.S. government decreased how much of the anti-cavity mineral is put into water, NBC News reports. This is the first time in more than 50 years the amount has been lowered. Fluoride, which is naturally found in water, plants and soil, was proved over 70 years ago to help prevent cavities and tooth decay. The mineral strengthens teeth by binding to tooth enamel and making our pearly whites more resistant to acid attacks from bacteria. 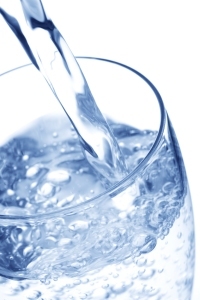 Today, up to 75 percent of Americans get fluoridated water from the tap. But fluoride is also added to toothpastes, mouthwashes and other dental hygiene products. This is why public health officials believe many people may ingest too much of the mineral. Findings about fluoride show that excess amounts of the mineral can cause a condition called dental fluorosis. The condition is characterized by white splotches or streaking on teeth. When severe, the condition can cause brown stains, pits and broken enamel. What’s more, recent studies found as many as two out of five adolescents in the United States suffer from some form of dental fluorosis. The U.S. government’s new standard for how much fluoride should be added to water is 0.7 ppm (parts per million) everywhere. For years, the Centers for Disease Control and Prevention and the American Dental Association warned parents to avoid regularly using fluoridated water to mix infant formula.